This simple 5-channel LED chaser can be used in any application requiring LED light effects. The circuit is based on two transistors as an oscillator and an Integrated Circuit that drives all 5 LEDs. 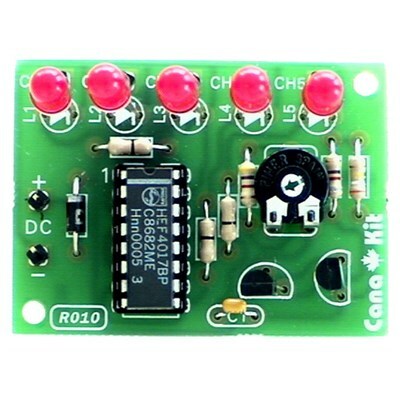 The chase rate can be adjusted by a PC board mounted trimmer potentiometer.